Local train. Express trains hauled by big Pacifics are fun, but I must confess that I enjoy running the local passenger service even more. Middlevales again. 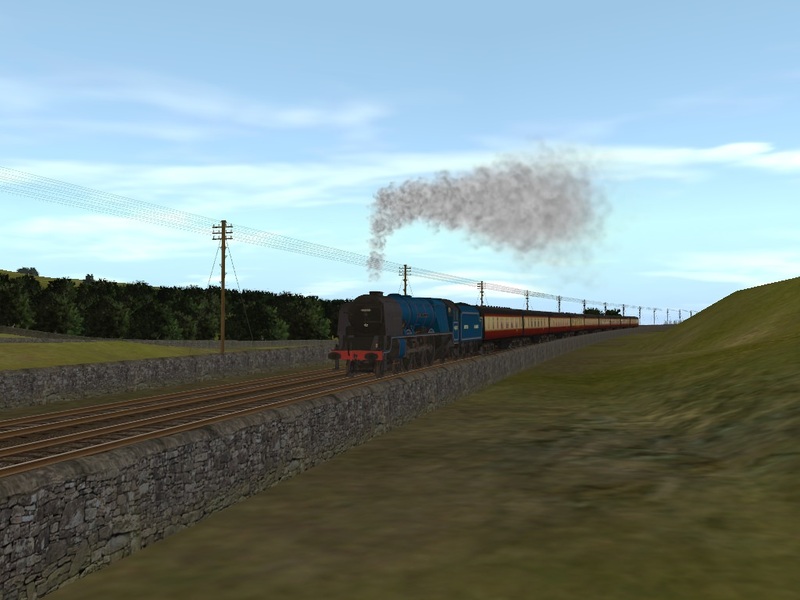 Ex-LMS Garratt on test. 780 tons/55 wagons. 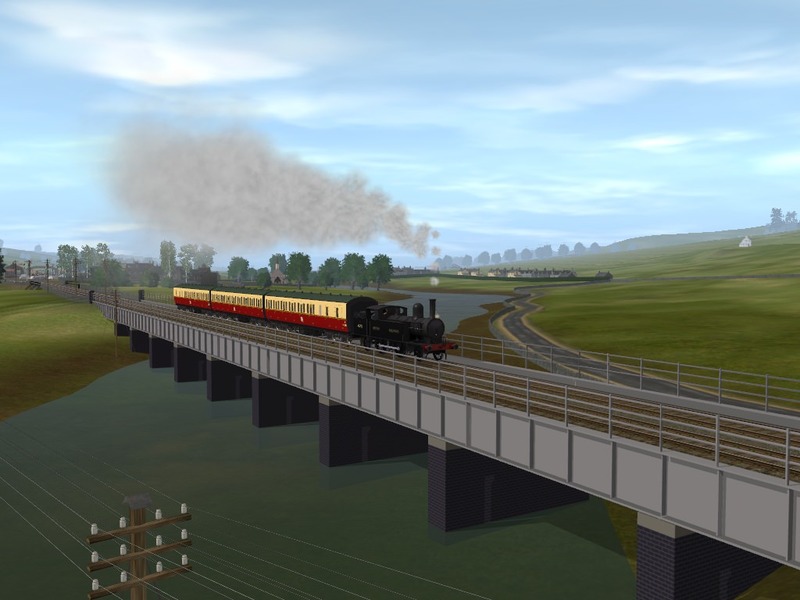 I think I'm going to need some longer sidings and crossing loops. 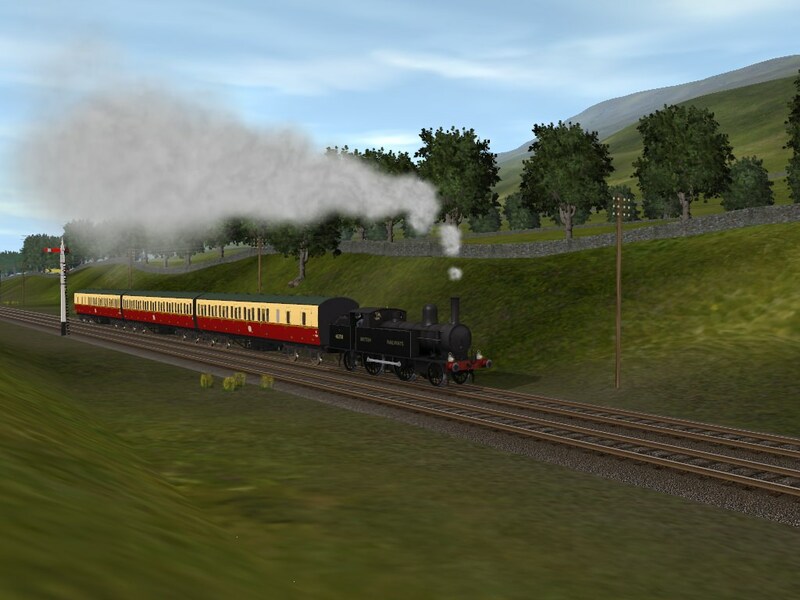 I must have a look at this Garratt, thanks for reminding us all these early Trainz locos. It's an old one, but still very nice evilcrow. I'll most probably do some minor texture adjusting and tone down the brightness of the numbers, but otherwise it's fine as it is. 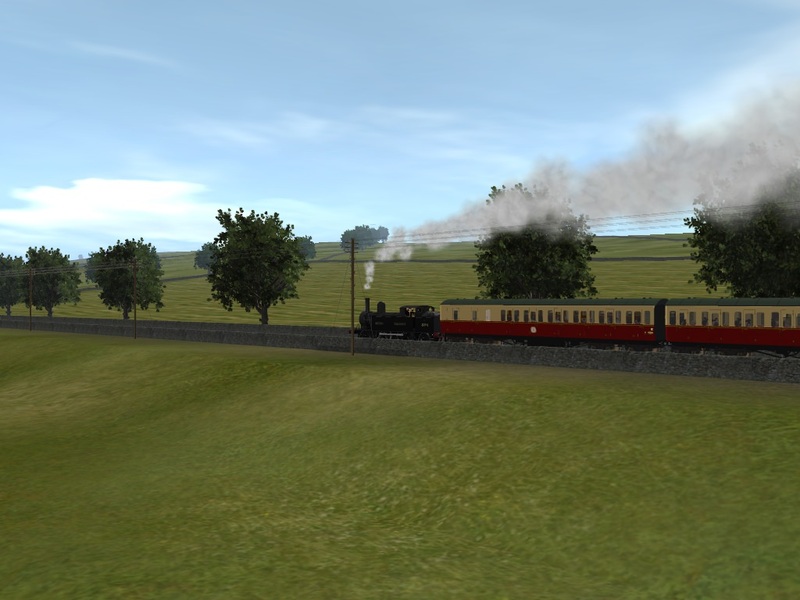 I usually update the whistle and engine sound files on Paul's older locomotives as well. 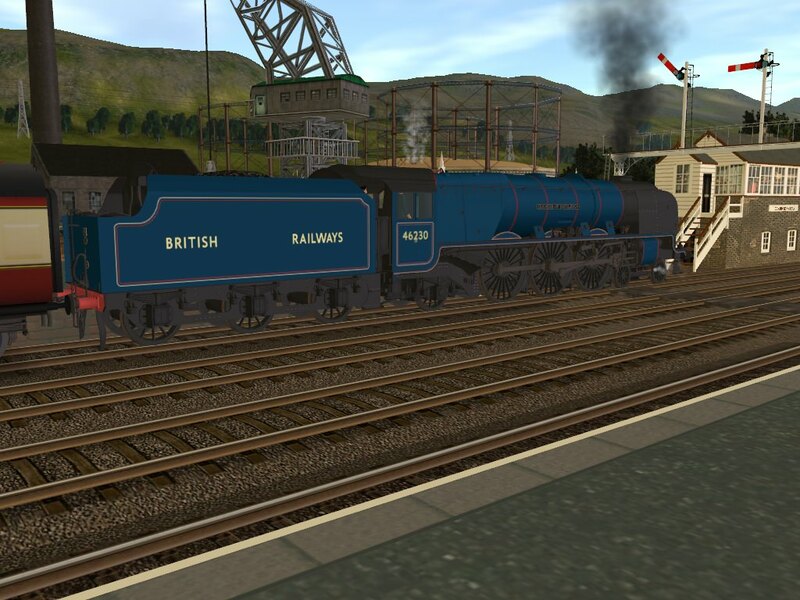 Runs very nicely and its speed is quite finely controllable for such a big locomotive. With moving so much coal about on Middlevales I needed another fairly serious locomotive to help out. The LMS Garratts used to have, I believe, a duty that brought one of them to York with coal empties and in the yard would exchange it for a train of coal from the northeast. Given that coal from the Durham coalfield was good for making coking coal (producing town gas as a by product) and coal from the Northumberland coalfield was suitable for furnaces and domestic coal fires the origin of the loaded train could be from either location. I don't recall the Garratt on Camscott's Doncaster Works poll. Last edited by borderreiver; October 18th, 2018 at 11:18 AM. 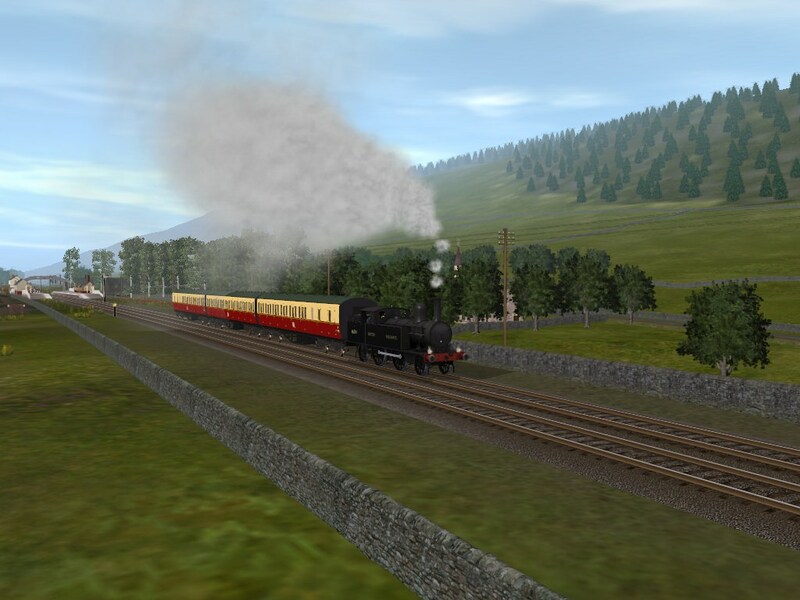 I think the LMS Garratts are the locomotive everybody forgot borderreiver. 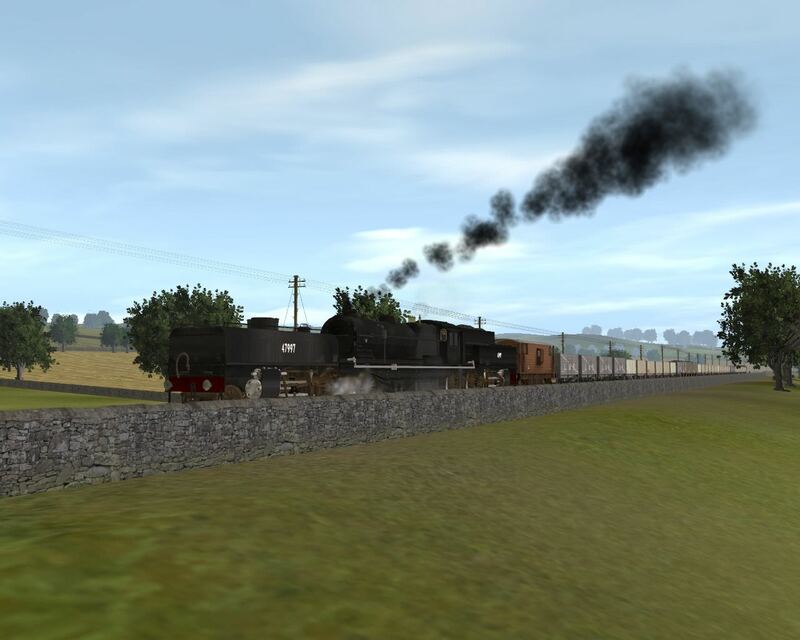 I shouldn't really be running any on Middlevales set as it up in the border country. 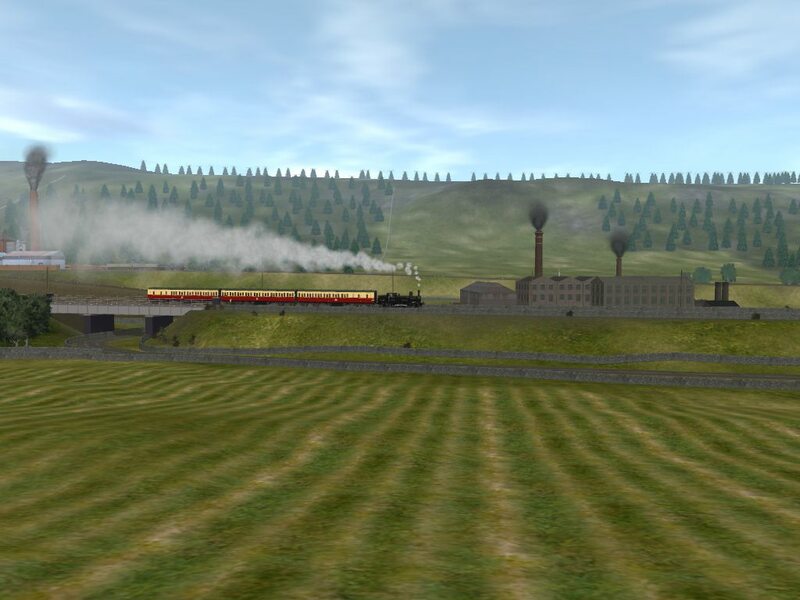 I've been testing them out with running from the colliery at Dunleer and through the border tunnel and into the English side of Middlevales which is the half of the layout I do tend to neglect a bit. They certainly are a very capable locomotive and with upgraded sound files they really do sound amazing. I could certainly have Dunleer's 0-8-0's bringing a coal train through from the border country and then handing over to a Garratt which would in a sense mimic the Garratt working that you mention borderreiver. I'm going to have to give that some thought. 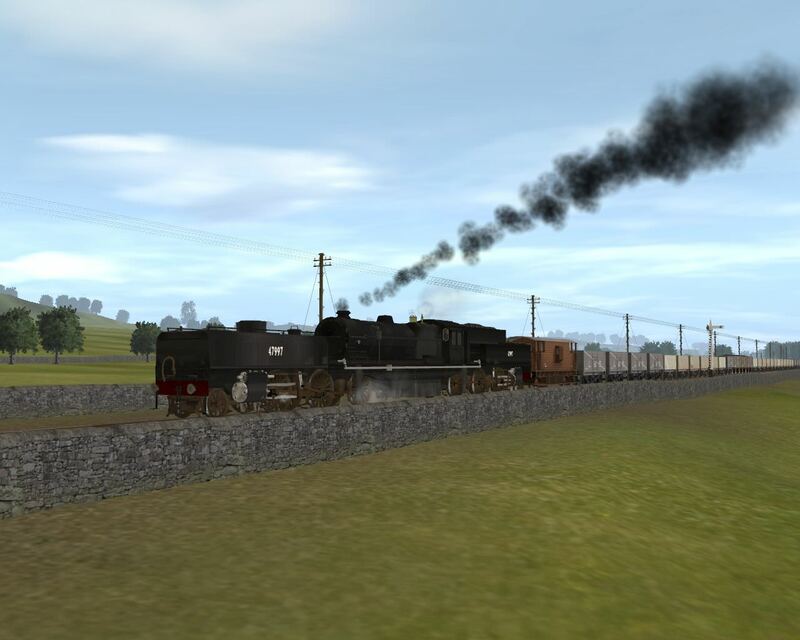 To justify the cost of rostering a Garratt you need a long coal train (by UK steam era standards). York's yard were at the southern end of the ECML "race track" from Darlington but a tremendous amount of freight from Tees-side and East Durham joined the ECML via the Leeds Northern line at Northallerton. The line limit was 92 wagons (trains crossing the Tyne at Newcastle were limited to 56) and the usual practise for loose-coupled freight on the busy four-track section was to combine two trainloads behind one locomotive. Sometimes the combination in the down direction would go to Newport yard on Tees-side and at others they would go to Croft Yard at Darlington. Separating the train at Northallerton, where one half could go to Newport and another could go to Croft would not have been efficient, both in terms of line occupancy at the station and providing a second loco at Northallerton for the load going to Croft. The yard at York could easily assemble 92 wagons for the Garratt but I would not envy the task facing the driver in walking forward the loco to ease up the tension on 94 sets of three-link loose couplings and then drawing it all out of the sidings. The guard would no doubt berate the driver if he jolted the guard around and if a coupling broke, separating the train there would be consequences. 92 wagons?! I don't think any of my sidings and loops could take that many wagons borderreiver. I think 60 wagons is the practical limit on Middlevales, - or so I've found so far. 60 might have to become the new 90 on Middlevales. Thank you for the extra background information as it all helps me with better understanding and appreciating the difficulties of working long trains of loose coupled wagons. 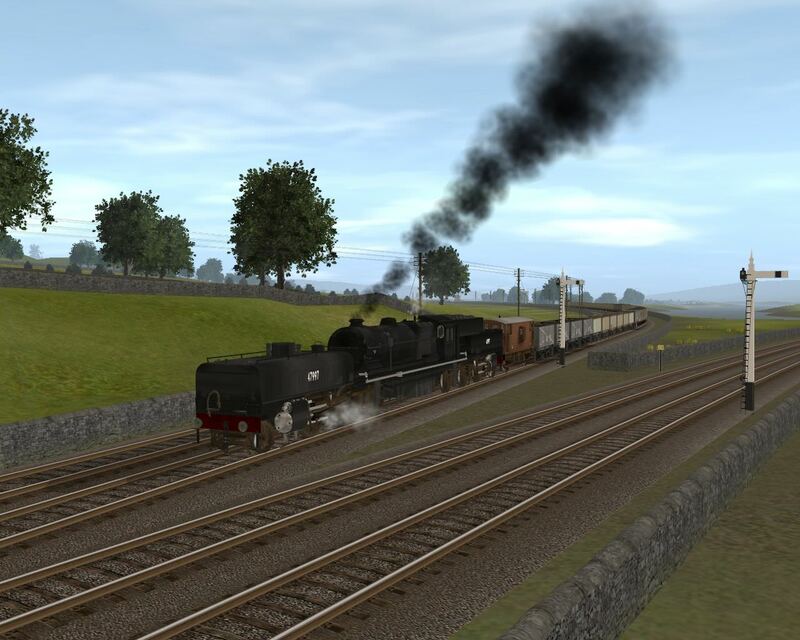 I try to do my best with working coal trains in a prototypical manner in Trainz and I certainly enjoy the challenge. Nice work PFX are all your latest screenshots from the one route you are working on ?, You have put in sum nice detail to every scene by the looks of it. 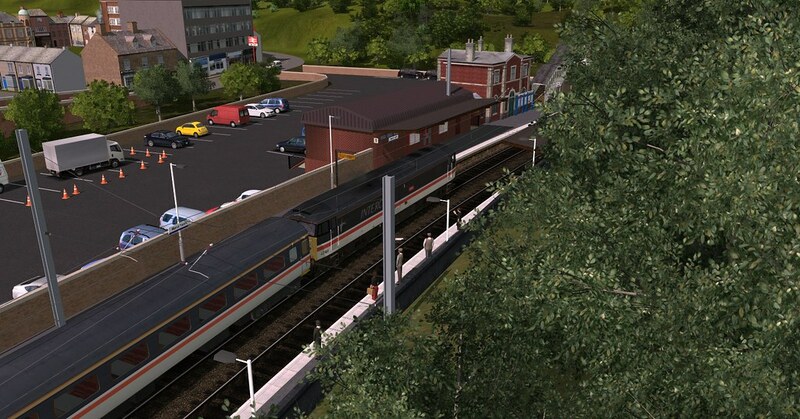 They're all from the Midshire Mainline route by fudginator and nexusdj which I've been upgrading and extending. 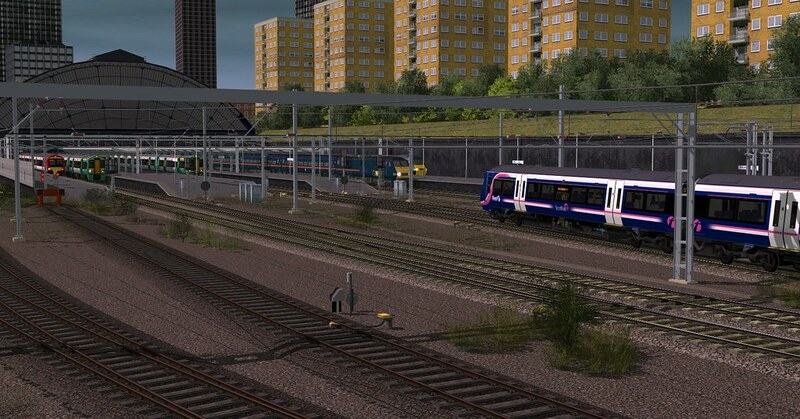 Thank you for the reply Innis I have The Midshire Mainline and tried updating it also tried The Duchy Days too both great modern style routes, Keep up the great work anyway mate I've been keeping a eye out for you pic's.